A: 12…a very large 12 I might add! A: John…most talented songwriter of the four. “Across the Universe”—need I say more? Q: If you were a road sign along the Dinkytown Highway what would you be? 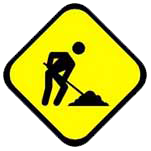 A: “Under Construction” Life is a continual process of improvement. A: Licorice. Can’t get enough of the red chewy stuff! Q: Favorite planet in our solar system? A: Earth… There are a lot of interesting characters on that little planet. A: John Bonham to John Coltrane…if it grooves, I’m in. Q: Worst teacher you ever had? A: All basketball coaches from 4th grade through 12th. Never understood how yelling at someone would inspire them to learn. Q: Boxers, briefs or thong?